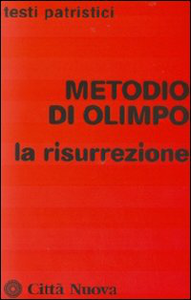 The Italian translation of Methodius of Olympus, De resurrectione, has arrived. I was able to order it from the publisher without undue difficulty (although IBS.it would probably have been easier, had I remembered them!) I have now scanned some of it, which means that I can now use Google Translate on the Italian. Google Translate handles Italian well, so long as you read intelligently. The Corpus Methodianum, however, was preserved in Old Slavonic. This translation was supposedly made in Bulgaria around the tenth century and was made accessible to the West by the end of the nineteenth century in the German translation of Bonwetsch, who edited all the works of Methodius for the critical edition except those considered inauthentic. This Old Slavonic translation contains the almost complete text of De autexusio, De resurrectione, and De lepra, and also that of other works of which there was no mention in ancient testimonies, and of which there were no Greek remnants (De cibis, De sanguisuga, De vita). The Greek text used for this translation seems to have been in good condition. It is translated to the letter, except in some passages where we are faced with summaries (it is difficult to determine whether this was done by the Old Slavonic translator, or found by him in the original). As we have mentioned earlier, Musurillo believes that the writings of Methodius have been handed down in Slavonic because of a happy error of attribution, because of the homonym with the 9th century evangelizer of the Slavs. Bracht criticizes this suggestion, noting that Musurillo does not provide reasons for this affirmation, and considers it simpler to attribute the interest in preserving his writings to the uninterrupted tradition of the Eastern Church, which continued to venerate Methodius as a saint, martyr and Doctor of the Church. Bracht does not exclude the idea that the influence of the homonym, Methodius, apostle of the Slavs, might have helped preserve the writings; but not – as Musurillo suggests – by error in attribution. In his opinion, a stronger reason – in turn already advanced by Ivan Dujchev – would be this: the thesis of the De autexusio would be considered very useful in order to counteract the doctrinal errors of the Bogomil heresy (a heresy that arose in Bulgaria around the 10th century). These heretics affirmed a strong dualism. The refutation of any kind of dualism contained in the De autoexusio of Methodius would have helped to get it translated. PS: I wondered what Old Slavonic manuscripts were used for the Slavonic text. This is not stated; but two manuscripts – Q.I. 56a and Q.I. 57b – are mentioned in footnotes. I was using manuscript from Petersburg Q.I. 265. The numbers from 43 to 168 are the page numbers of this manuscript. For example, 57a is left hand side and 57 b – right hand side. There are Italian translations of Methodius of Olympus! Few are familiar with the works of Methodius of Olympus. He is an Ante-Nicene Fathers whose works are hard to access. Most were not translated into English as part of the Ante-Nicene Fathers, because they are preserved mainly in Old Slavonic. Only one large work was translated in the ANF series, the Symposium, because that exists in Greek. I have listed his works here, with a bibliography. Thanks to a correspondent, I have today become aware that all three of the major works have been translated into Italian! This should be of use, if only because Italian is handled quite well by Google Translate. On the downside, it seems that translations into Italian are rarely stocked by reference libraries in the US and UK. But all three are in print. So if you want them, you can purchase them. I see that Italian site IBS.it has them all here. Just search for “metodio di olimpo”. 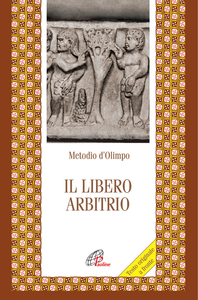 On Free-Will – R. Franchi, Metodio di Olimpo: Il libero arbitrio, Paoline Editoriale Libri, 2015. 448p. Series: Letture cristiane del primo millennio. ISBN 9788831546690. €39. (22 sample pages at the publisher site here). Facing pages of Greek/Slavonic and Italian. Symposium – N. Antoniono, Metodio di Olimpo: La verginità, Città Nuova, 2000. 200p. Series: Testi patristici. ISBN 9788831131520. €20. (Google Books preview here). On the Resurrection – M. Miroslaw & B.Zorzi, Metodio di Olimpo: La risurrezione, Città Nuova, 2010. 296p. Series: Testi patristici. ISBN 9788831182164. €30. Useful stuff! (The minor works are all now available online in English at Archive.org, of course). Posted in From my diaryTagged MethodiusLeave a Comment on There are Italian translations of Methodius of Olympus! Last summer I wrote to the Arts Council, enquiring whether they would sponsor a translation of a couple of long works by Methodius of Olympus from Old Slavonic. I usually pay for translations myself, but in this case the cost was beyond what I can reasonably afford myself. I was willing to pay a significant part of it, however. But it would be a permanent benefit to the world. So I thought I’d try. The response was encouraging, and stated that they do fund translations. So I set things up, and a couple of weeks ago I applied. Today I received a letter telling me that my application was rejected on the grounds that it was unclear that the objective was an artistic work. The letter made clear that the application had basically gone unread, and not even been subjected to examination or formal decision – i.e. that a box-ticker had rejected it. This reason contradicts what I was told. Naturally I have written an email of enquiry to the person who invited me to apply. I will make a telephone call next week as well. But I suspect that I will just get fobbed off. We live in an age where the individual can rarely break through. The internet has given people like myself a way to contribute. But once we enter the world of the official body, the real truth is probably that only corporate bodies and professional fundraisers, paid to do it, can hope to navigate the shoals and extract any money; and that these are the only applicants they really deal with. I have always felt sympathy for the way that academics are forced to waste their time on these sorts of process; and that sympathy is not abated by this experience. What I regret, really, is the time and energy wasted. It is characteristic of a pointless application that you hear different things from different officials, because – in essence – you don’t matter to any of them. It has to be said, though, that I don’t find dealing with bureaucracy enjoyable or productive. For this reason I was reluctant to expose myself to that world in the first place. The process of applying to the Arts Council itself pretty much excludes 99% of possible applicants, since it requires them to plough through a 50-page manual. Another requirement, that funding must be found from more than one grant-making body, pretty much excludes everyone other than the organisations with access to databases of such people. (I was going to just pay a proportion myself). I do wish that my application had actually been read tho, rather than rejected by a box-ticker. It is rather disappointing. But probably people like us simply can’t get any money out of that system. (Which leads one to ask: what is the point of it?) I was willing to take on the burden of driving and editing the Methodius project, which would have been considerable. I was willing to do it, pro bono publico, and because nobody else would. It needs to be done. But … evidently it will not be done by me. Anyway, unless I can think of anything else, Methodius will have to remain untranslated unless or until some Old Slavonic scholar with an interest in patristics decides to do something on his own initiative. This may be some distance away: for even the text has never been printed. On the other hand, in all honesty, I wasn’t looking forward to working within an unnecessary straightjacket of timescales and milestones. So there is that consolation, that I won’t have to! UPDATE: 2 Feb 2016. I sent in my enquiry as to why they solicited an application that they dismissed as ineligible without reading it. As I rather expected, I got an insulting email back, consisting of a single paragraph pasting the same “ineligible” message, followed by many paragraphs, all boilerplate, from the guide. The whole did not actually answer the question, except to say “you aren’t important enough for us to even reply to”. I fear that the Arts Council is just another group of elitists giving public money to their friends. “Not our sort of people, dahlink”, before firing off the form rejection. Two long works of Methodius of Olympus (d.311 AD) are preserved only in Old Slavonic: De Autexusio (=On Free-Will) and De Resurrectione. Yesterday I applied for some grant money to get these translated and put online. Wish me luck! I’ve never applied for grant funding before. The price is just beyond my means to do; but on the other hand, who knows when someone with the skills to create such a translation will be available again? Not for a century, that we know. I find the process rather intimidating. The online application is straightforward enough. But the regulations impose barriers to normal people. For instance, the grant body require that more than one source of funds is used – presumably to avoid them being blamed alone for a daft grant. But I actually don’t know any other body that might fund translations. Indeed I only discovered that they did so by accident! So this policy excludes people other than those with access to databases of grant-making bodies. It’s one more way in which the charitable sector exists for itself, rather than the public. However I have offered to put in some money myself, and with luck that will be enough for them. I must say that they have been reasonable enough to deal with so far. I’ve also commissioned a translation today of Proclus’ Encomium on St Nicholas of Myra. It’s another source of the legends which became Santa Claus. If this is really by Proclus of Constantinople, then it will be a 5th century source. Frankly I doubt that it is, despite my negligible knowledge of that author! It’s bound to be later. It’s only 5 pages of Anrich’s edition, tho. As you may have seen, I have resumed translating the Annals of Eutychius (or Said ibn Bitriq as he was known in life) from the Italian translation of Bartolomeo Pirone into English, with the assistance of Google Translate. I would much prefer to translate the Arabic directly. But since I don’t know Arabic, and I have no access to the Arabic text, then I am working from the Italian version. This itself seems to be a rare book. The object is to make the text known. Anyone intending to base themselves on a statement in Eutychius should, of course, arrange to translate the original. But that I leave to those able to do it. Yesterday I revised the application for grant money for the translation of Methodius De Resurrectione and De autexusio from Old Slavonic. It’s nearly as I want it to be. I’ve written to the translators to check their availability in the timescale that (annoyingly) I have to specify. I’ve spent some time on twitter, combatting the persistent nonsense that Mithras was born on 25th December. No ancient source connects the two, and the idea originates from a careless bit of speculation by Franz Cumont – a great man, but altogether too prone to speculate. It is now Christmas Eve. I’m sure that some of my readers are off to late church services for carols and midnight masses and the like. If you have such an opportunity, do take the opportunity to do something different. I’ve finished work for the year, and I’ve been diligently clearing away all the things in my inbox. It’s quite a relief to do this! But most of them are done. Six weeks ago I started a new job which means that I have done nothing about applying for funds to translate Methodius. I will see if I can do anything about that this week. Blogging may well be rather sporadic over the next six weeks also, again for work-related reasons. After that time, I may well commission some more translations. The first draft of a commission that I had outstanding for Andrew of Crete, Encomium on St Nicholas of Myra, is done; but the last few queries on it are not resolved. So I can’t very well pay for it and release it, which is a shame. But I suspect the translator is simply snowed under with other commitments, as is so common at this time of year. It will still be valuable when it is done. I have a nagging feeling that I have another commission in flight, and have forgotten all about it. Which is, of course, rather embarassing! No doubt it will come to me. I have started the process for taking Eusebius, Gospel Problems and Solutions, out of print, which means notifying the printers. It will go out of print on 22nd March 2016, and I will put in the request for this four weeks beforehand. So if you want a printed copy, you have only a couple of months left in which to do so! Christmas is a time when blogging tends to go quiet. Many bloggers have families to attend to at this season. However I hope, as usual, to keep posting! I’m trying to push forward a couple of projects. I’ve written to the translator for the Encomium on St Nicholas of Myra by Andrew of Crete, to see if the sample is available yet. I have also changed my plans slightly for the translation of Methodius from Old Slavonic. The lady who was to do the Greek fragments is overcommitted elsewhere, with the result that nothing ever appeared of the Severian translation that I set as a sample. So I will ask Andrew Eastbourne to handle that side of the work. Indeed I had always intended to use him in some capacity if I could, because of his vast philological knowledge. In some ways this simplifies the grant application process, since I now know who I am dealing with. I can also upload the Methodius De Lepra translation as part of the application, as evidence that I know what I am about. But I need to replan. Some kind correspondents have been supplying me with parallels and sources, which may well be useful. Most of the grant bodies will only give around 50% of a project; so I shall try to find another source of funding for translations. I suspect, rightly or wrongly, that this is merely bureaucrats trying to cover their own backsides. After all, if it isn’t just them who gave the grant, then how can they be blamed? But it is tiresome. I also realise that I need to understand what the unstated rules of the game are. So I need to telephone and talk to someone. It all reminds me why I just pay for translations out of my own pocket. There seems to be a whole industry that has grown up, merely to get funding. It is a quite daunting process to the amateur. I have been adding a few more photos to the Mithras site. Most of these I encountered on Twitter, and wondered to what they related. I’ve just seen one of a Vatican tauroctony, photographed by Carole Raddato, that is really quite good. This is no small praise; the location of the monument in the museum makes photography almost impossible. I’ve seen it myself, tried to get useful pictures, and failed! The fourth short work by Methodius of Olympus (d.311) is De Lepra, On Leprosy, an explanation of Leviticus 13. The first English translation of it is now made available. Unlike the three previous works, some fragments of the original Greek text are preserved in a medieval anthology found in at least 20 manuscripts. The task of translating both sides has been a long one! But it is done at last. The comparison reveals that the Old Slavonic text is an abbreviated version of the original. I’ve also uploaded these to Archive.org here. As ever, I make these public domain. Do whatever you wish with them, personal, educational or commercial. Let them circulate as widely as possible, entire or in part. That’s the whole idea! UPDATE 22/9/15: Tweaked for a couple of late thoughts. Most of the works of Methodius of Olympus (d. 311) are preserved only in Old Slavonic. His Symposium exists in Greek, and was translated in the mid-19th century, and appears in the Ante-Nicene Fathers series in volume 6. A modern translation by Musurillo also exists. Three short works exist in Old Slavonic only; a fourth, De Lepra, also has some Greek fragments. Two long works extant in Old Slavonic, De resurrectione and De autexusio, likewise have substantial Greek fragments. As I consider commissioning a translation of these two long works, I have to decide what to do about the Greek fragments. I had originally intended to commission a translation of these also. But I am still having difficulty getting a satisfactory version of De lepra together. Obviously it helps to have someone who knows both Slavonic and Greek to do both sides; but this I do not have. Instead I have two translators working independently, a process that masks the correspondences between the two versions. But the Greek is often fuller than the Slavonic; so one can’t just ignore it. Recently Andrew Eastbourne courteously drew my attention to the fact that the ANF translators also translated the fragments extant in Greek. This I had either not known, or had forgotten. I need to see what is there; and this post will document that. The ANF series is an American pirate edition of the Ante-Nicene Christian Library series commissioned by the Scottish firm of T. & T. Clarke in the 1860’s. A list of the volumes is here, and so I learn that Methodius was vol. XIV, which is accessible at Google Books here. METHODIUS, who is also called Eubulius, was first of all bishop simultaneously of Olympus and Patara, in Lycia, as is testified by several ancient writers. He was afterwards removed, according to St Jerome, to the episcopal see of Tyre in Phoenicia, and at the end of the latest of the great persecutions of the Church, about the year 312, he suffered martyrdom at Chalcis in Greece. Some consider that it was at Chalcis in Syria, and that St Jerome’s testimony ought to be thus understood, as Syria was more likely to be the scene of his martyrdom than Greece, as being nearer to his diocese. Others affirm that he suffered under Decius and Valerian; but this is incorrect, since he wrote not only against Origen long after the death of Adamantius, but also against Porphyry, whilst he was alive, in the reign of Diocletian. Methodius is known chiefly as the antagonist of Origen; although, as has been pointed out, he was himself influenced in no small degree by the method of Origen, as may be seen by his tendency to allegorical interpretations of Holy Scripture. The only complete work of this writer which has come down to us is his Banquet of the Ten Virgins, a dialogue of considerable power and grace, in praise of the virginal life. His antagonism to Origen, however, comes out less in this than in his works On the Resurrection, and On Things Created. The treatise On Free Will is, according to recent critics, of doubtful authorship, although the internal evidence must be said to confirm the ancient testimonies which assign it to Methodius. His writings against Porphyry, with the exception of some slight fragments, are lost, as are also his exegetical writings. For the larger fragments we are indebted to Epiphanius (Haeres. 64), and Photius (Bibliotheca, 234-37). Combefis published an edition of his works in 1644; but only so much of the Banquet as was contained in the Bibliotheca of Photius. In 1656 Leo Allatius published for the first time a complete edition of this work at Rome from the Vatican MS. Combefis in 1672 published an edition founded chiefly upon this; and his work has become the basis of ali subsequent reprints. The following translation has been made almost entirely from the text of Migne, which is generally accurate, and the arrangement of which has been followed throughout. The edition of Jahn in some places rearranges the more fragmentary works, especially that On the Resurrection; but, although his text was occasionally found useful in amending the old readings, and in improving the punctuation, it was thought better to adhere in general to the text which is best known. A writer who was pronounced by St Epiphanius to be ανὴρ λόγιος καὶ σφόδρα περὶ τῆς ἀληθείας ἀγωνιστάμενος, and by St Jerome, disertissimus martyr, who elsewhere speaks of him as one who nitidi compositique sermonis libros confecit, cannot be altogether unworthy the attention of the nineteenth century. 1. St Epiph., Haeres. 64, sec. 63. 2. St Hieronymus, De viris illust. c. 83. 3. Epiph. Haer. 64, sec. 63. 4. Hieron. Comm. in Dan. c. 13. 5. Id. De vir. ill. c. 83. Many more such testimonies will be found collected in the various editions of his works in Greek. Now this is very useful to me, because it identifies the texts used. The Migne edition is the Patrologia Graeca volume 18 and the Jahn edition of 1865 is online also. The PG edition starts with an introduction to Methodius, in Latin, followed by a collection of testimonia. Both were clearly used by Mr Clark as the source for his own remarks. The fragments begin on column 239 (p.125 of the PDF above), rather than the 229 of Migne’s table of contents, and it looks as if Mr Clark simply translated from the top. The first item in sequence is fragments of De libero arbitrio (= De autexusio = On free will), col.239-266, based on three chunks: material from Meursius; Photius codex 236; and then material from Sirmond. The Meursius and Sirmond material is no doubt from Greek miscellaneous manuscripts. The whole of this work, as preserved, is in a very fragmentary state. We have followed Migne in general, as his edition is most widely known, and but little is gained by adopting Jahn’s, which is somewhat more complete.—Tr. For the ANCL little may be gained; but for us, we will need those extras; and potentially the modern edition, in the GCS series, will have more again. Looking at Jahn, I find that the volume has no table of contents, in common with other volumes produced in that period for the convenience of the editor rather than the reader. De autexusio appears on p.54 f. Variants for De autexusio appear on p.117 (!). It looks as if Jahn has essentially used the same materials, but run them together. There might be additional sources used, it’s hard to tell. In fact Migne is far clearer, in his pre-critical edition, on what he is using and from where, than Jahn is. De resurrectione appears on Migne col. 266, ANCL p.139, and p.64 of Jahn. A fragment on Jonah is next, from Combefis (Migne 327, ANCL 174). Then we have fragments from De creatis, derived from Photius (Migne 331, ANCL 176). Then extracts from Methodius work against Porphyry, On the Martyrs, and on Simeon and Anna (Migne, ANCL 183), and then various other fragments and supposed works, most of them omitted by Jahn. My first impression is, frankly, to revise my project and simply leave the Greek alone. The only value in translating both Greek and Slavonic together is to indicate the parallels by means of translating the same word in each language in the same English way; and this is the one thing that I can’t do, since I don’t have a translator who knows both. So what value is there, in translating the Greek again, even if we add a few more fragments? Why not just translate the Old Slavonic, and leave the Greek? Much of the material is from Epiphanius Panarion; so not merely do we have the ANCL translation, but we have the new Williams translation of the whole work. We are spoiled for English translations of this material. I will have to mull this over, but at the moment I must ask: Is it worth it? I don’t aim to make something for scholars; I want to make something for ordinary people. In what way will they benefit? Much to think about over lunch today! Autumn has arrived very early this year, with its quota of draughts in the office, and consequent colds and chills and air-conditioner wars. I am rather preoccupied with some work-related nuisance of just this kind, so don’t expect too much from me for a bit. But things are moving slowly forward anyway. I’ve been corresponding with Dr Mary B. Cunningham of Nottingham University, who has translated a number of pieces by Andrew of Crete. I had hoped that she might translate Andrew’s Encomium on St Nicholas of Myra, but sadly she is otherwise engaged. That is perhaps unsurprising at the start of a new academic year! However she has given me the name of a gentleman who might be interested and qualified to do it instead. So I have written this evening to offer a commission to him. Let’s hope that it works out. The work is about 11 pages of Anrich, so far from huge (thankfully). I have also commissioned a translation of another piece by Severian of Gabala: CPG 4201, “In illud: Quomodo scit litteras (John 7:15)”, text in PG 59. 643-652 = Montfaucon; Savile edition, vol. 5, 752-761. This is rather more meaty. But I am hoping to use the translator for the Greek side of several works by Methodius of Olympus preserved in Old Slavonic, so I do need to know that she can handle the task. The application for grant money to translate two large works of Methodius of Olympus from Old Slavonic (and Greek where it exists) is stalled until I have sorted out a Greek translator. However one query on the form was resolved this week by a query to the grant body. But I need to revisit the form entirely – my answers are rather waffly at the moment, and not especially focused on answering the specific question. Methodius “on the Leech” is still on my hard disk, and the subject of some debate between the translators of the Greek and the Slavonic. I will try to finalise this in a few days, depending on the crud at work. A prediction of mine, that the availability of online PDFs would lead to libraries selling off their physical books, appears to be coming true. A correspondent drew my attention to this item. A book dealer in Oxford is advertising a complete set of the printed 19th century Patrologia Latina, all 221 volumes of it (! ), for £6,000 (about $9,000). The source is “an English cathedral library”. The volumes have apparently hardly been opened; probably the library never allowed clergy to look at them without onerous conditions. Now … they’ve been sold off. Clerical libraries have often been knocked down for cash in times of decay, such as our own, to the rage and chagrin of subsequent generations, and it seems those days have come again. But did they get very much money for it? Well, I myself once sold a load of patristic books to that bookseller. I can tell you that I got really very little money for them (but I did get the blasted things off the floor). We may sure that the cathedral got much less than the sum demanded; probably a couple of thousand, if that. Ten pounds per volume? But we may wonder who might have the shelf-space for such an item? And … considering that they are all online, why would anyone buy it?